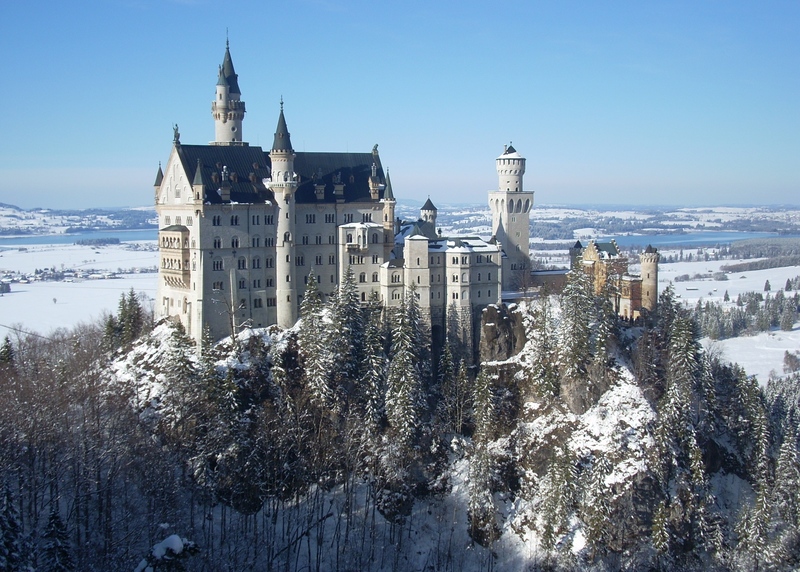 When I was a child, my parents took me to see Neuschwanstein Castle in Bavaria. I thought it was fantastic and pretty and impressive, but I think I took it for granted that such castles are a normal thing to exist, not connecting the fantastical nature of fairy tales with the unlikelihood of reality. In truth, Disney modeled its Disneyland castle on this one, and not the other way around, and the castle has been open to the public since 1886 when its owner died. Kept isolated by a smart drawbridge over a deep channel (although reachable by road via another path), it was the epitomy of all the stories -- imagination coming true. There was a fabulous museum with all the furniture and the stories of the family that built it. The reality was a unique imagination of a man - Ludwig II, who not only paid for it without using state funds and hired many local workers to build it, but managed to imagine the magnificent place itself -- a very well-fitted hideaway for a reclusive king -- picturesquely located, of course. Beautifully decorated both inside an out in a romanesque style, it is the perfect picture postcard image.